Unexpectedly, that post ended up becoming the most popular on my blog. Perhaps it means that there are a lot of people, just as busy as I am! We still want to make delicious and healthy bento lunches, but don't want to spend more than five minutes on it. 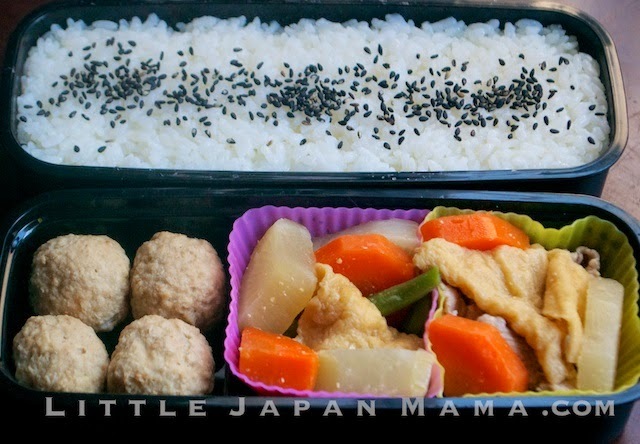 I'm not a crazy bento mama. I don't get up at 4 am to make decoben. I just save heaps of time and money by packing my husband's lunch. 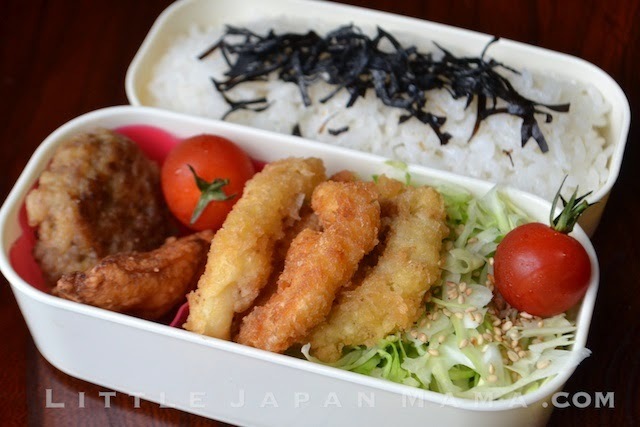 One of the easiest ways to make a bento lunch in 2-5 minutes is to just pack leftovers. Here are a few photos of things I have used in my husband's lunches. Does it get any easier than this? 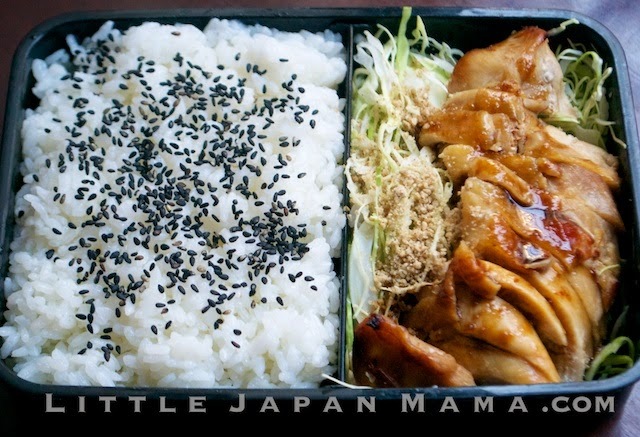 I often make a large batch of chicken teriyaki and freeze half of it to use in bento lunches, pizzas, salads, anything! Recipe coming soon! Tonjiru means "Pork Soup". Those two silicone cups are filled with Tonjiru minus the broth (drained on paper towel). 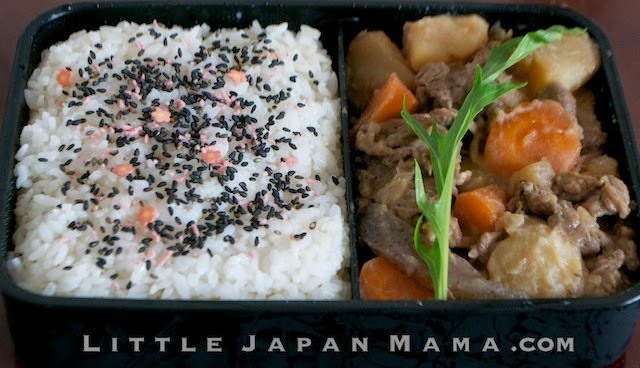 Soup is NOT a bento food, but I just included this one to show you can turn anything into bento filling! And those are asian style meatballs from the freezer, just to make it too easy. Hi, can you make more bento recipe , because i work everyday and i don't eat fast food , and your ideas have helped me to make my lunches and take them to work and eat healthy! Thank-you for your lovely comment! I'm so glad you have benefited from reading about my bento adventures! 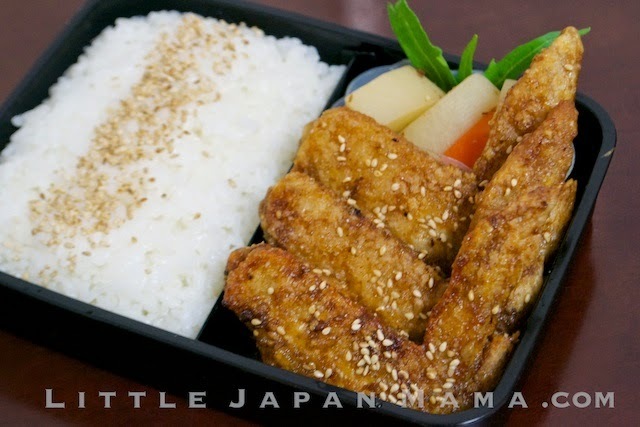 All your bentos looks so homey and delicious - I love them all :) :)!! Looks delicious, will be watching out for your chicken teriyaki recipe. I like the idea of freezing some for lunches too.